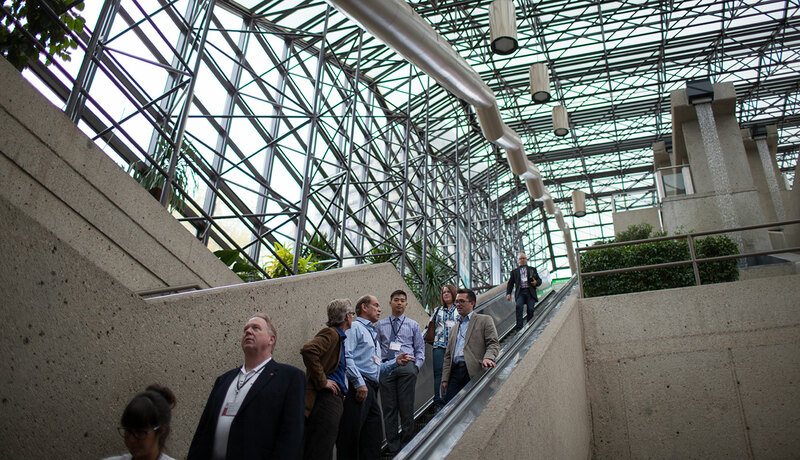 EDMONTON, AB – The City of Edmonton and Lorac Construction will begin a $12.3 million escalator modernization project at the Edmonton Convention Centre (SCC) beginning June 9. All 32 year old escalators are nearing the end of their useful service life and will be replaced with more modern, energy efficient escalators that will meet the long-term needs of SCC. From June until the spring of 2016, all three west escalators will be shut down. Once completed the west escalators will become operational and replacement of the three east escalators will begin. The project is expected to be completed by June of 2017. Major construction will be conducted during non-peak hours to minimize the impact on guests visiting the venue. We thank you for your co-operation as improvements are made to enhance the experience of all patrons. The Edmonton Convention Centre, which is owned by the City of Edmonton and managed by Edmonton Economic Development, is a top contributor to the meetings, conventions and special event business in Greater Edmonton, hosting about 700 events and half million guests each year, who in turn generate $50 million in spending across the province annually.